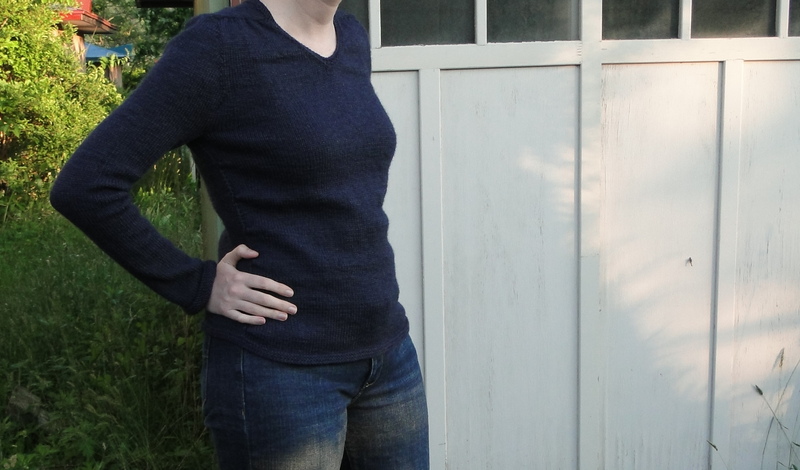 Sweater in 15 Minutes a Day – Complete! 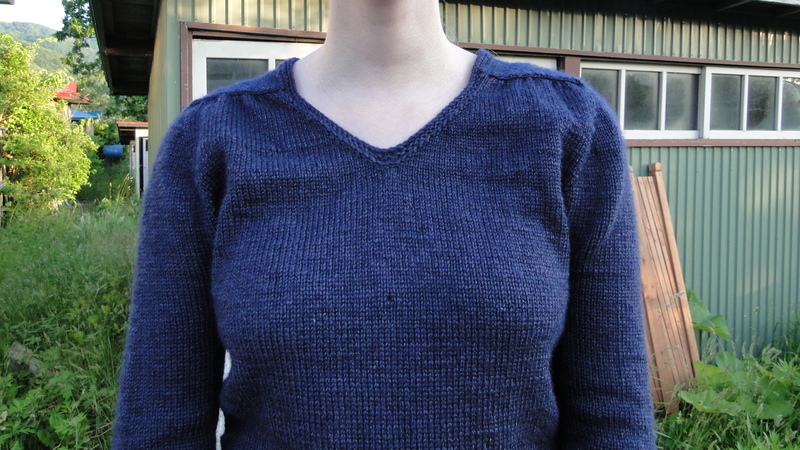 I knit the medium size of the Mandel Sweater (Rav link), using around 1150 yards of Knit Picks Gloss DK in Admiral. I bought the yarn back when Gloss DK was a bit cheaper, so this sweater only cost me about $45 in materials. The pattern indicated that I would need 1250 yards for my intended size, so I kind of had to hold my breath and hope, since I was about 20 yards short of that. Thankfully I finished with around 85 yards to spare. The pattern was quite clear and easy to follow. I would rank it at the intermediate level, with its saddle shoulder construction. Plus, the instructions are not written out line by line, it’s up to you to figure out which rows you need to increase/decrease/work the pleats on. Stitch counts are given, so you can work out at each stage whether you’re on track or not. I disliked working the pleats and at times considered eliminating or reducing them. 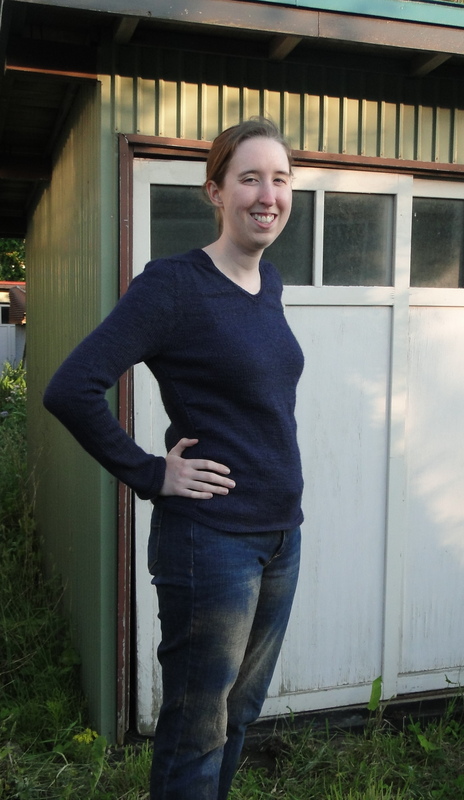 But really, at that point I might as well have just bought a blue knit pullover from Old Navy. 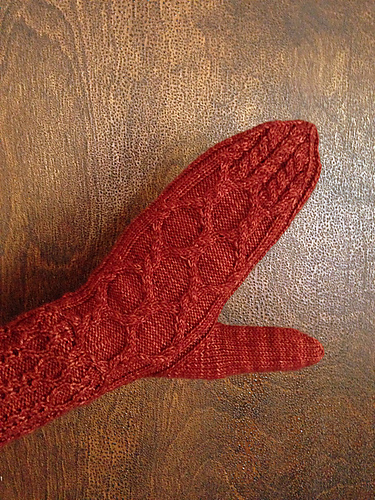 The body hem rolls, despite the garter stitch edging. I might rip out my cast off and add a couple of rows there this fall if it continues to annoy me. Close up of the neckline and shoulder pleats. Now for the stats. In January, when I started on this sweater, I remarked that I was inspired by Learning Japanese in Ten Minutes a Day and other books of its ilk. These books have always annoyed me – you can’t learn a language in ten minutes a day, especially not Japanese. Hell, the US Department of Defense puts their people through 64 weeks of intense study and classifies Japanese as one of the languages that takes six years of University-level study to master (it’s fellows are Chinese, Korean, Pashto and Arabic). 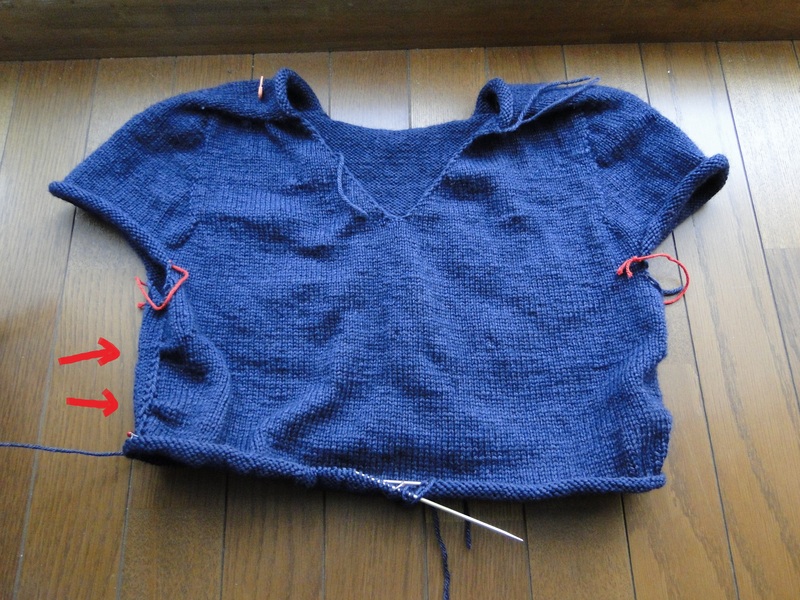 Well, it turns out that a sweater broken into 15-minute chunks can take quite a while. In the end, this one took 46 hours and 45 minutes – just short of two days. If I hadn’t broken down and finished it off at the end of June (to put me out of my misery), it would have taken 187 days. Or from January 20th, when I started, to the 25th of the this month. I’m not knitting with a silk/wool blend in July. Heck, wearing the thing in June was bad enough. It’s going into a drawer for November. I finished something! 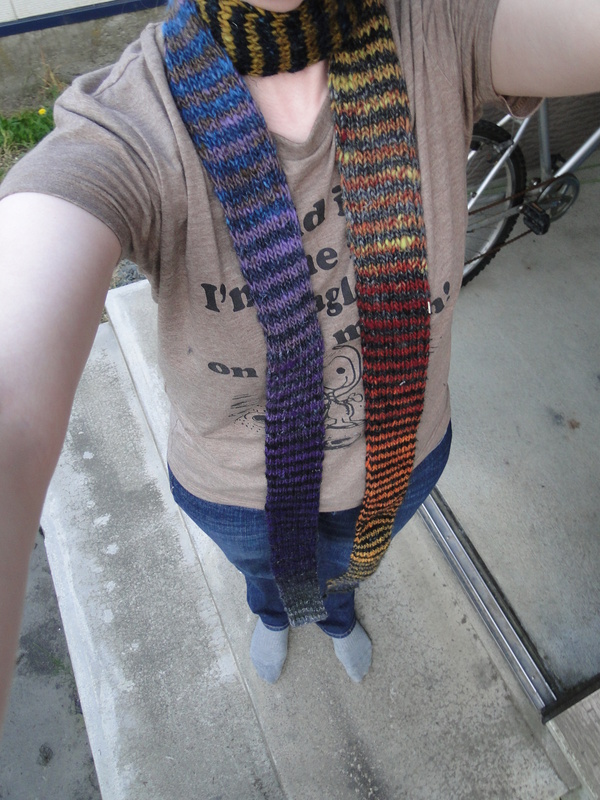 About a year ago I got a craving for a long skinny scarf. 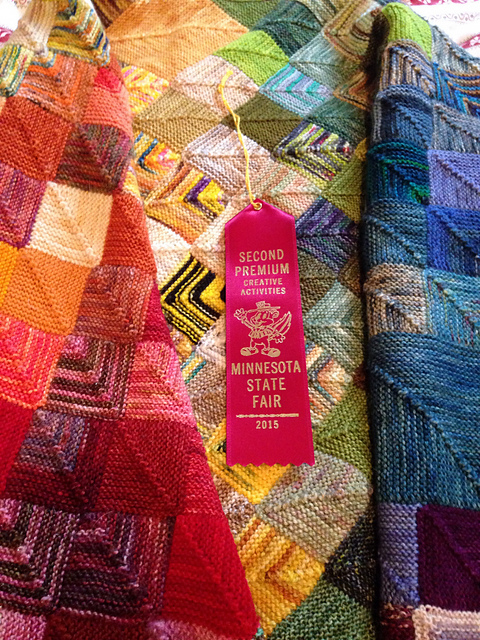 I grabbed two skeins of Noro, cast on, and…let it linger in my closet until last month. To get it going again, I turned it into my work party knitting, dragging it hither and yon. Since the rows were short, it was easy enough to get a couple of inches in whenever I had a free moment. 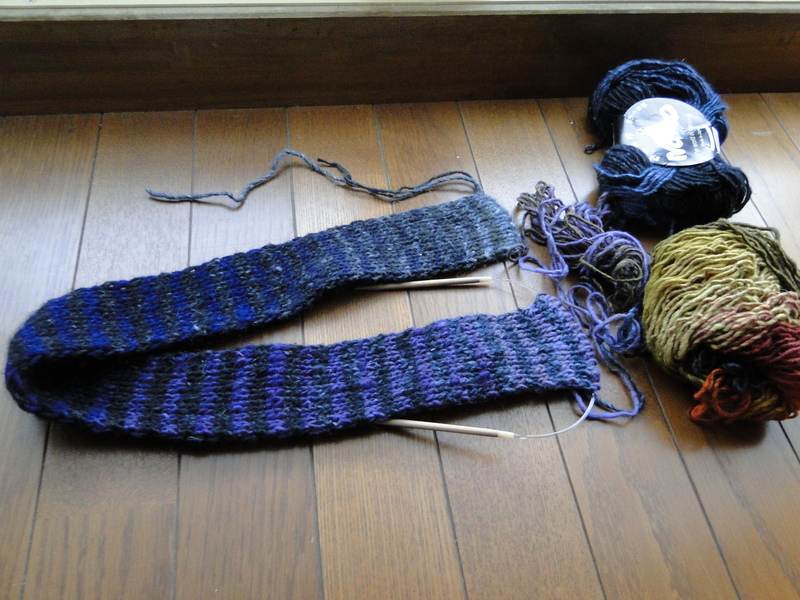 For 100g of worsted-weight Noro, I got a looooong scarf. Long enough to jump rope with – maybe 9-10 feet long. Long long. Just in time for the weather to hit 70F. 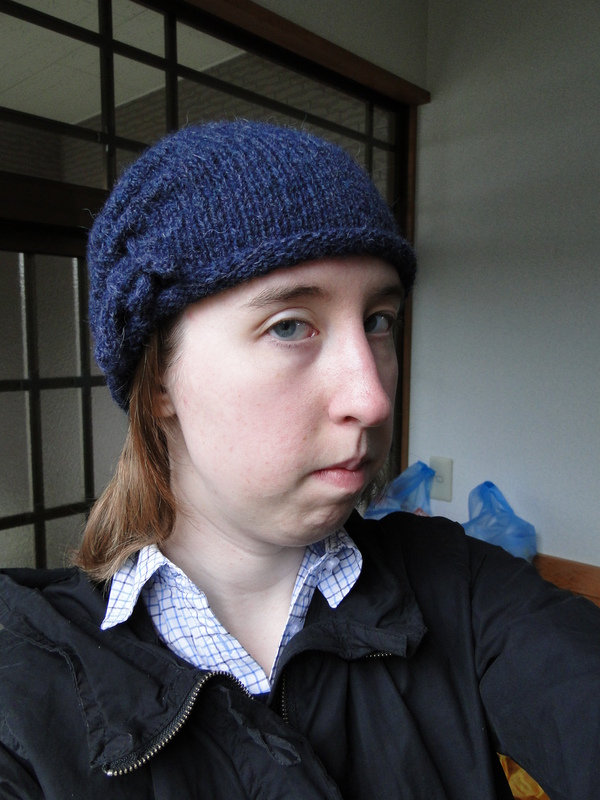 I think my coworkers suspect that all I do is get home from work and knit myself a new hat for the next day. Future Blues, Rowan Lima, Minty by Erica Jackofsky. I’m quite taken with this one – it’s knit extra long, with eyelets that you thread with i-cord to tug into a slouchy shape. 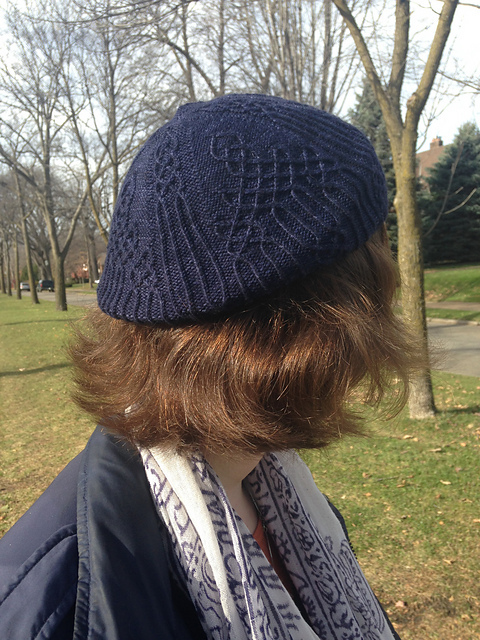 This hat took a very satisfying exact ball of Rowan Lima, in the Patagonia colorway. Of course, I was so convinced that I would need two balls…I bought two balls. 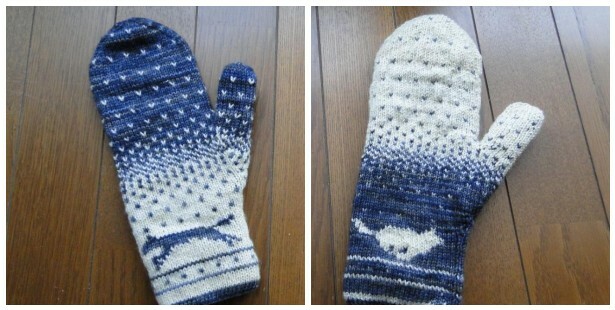 Time for matching mitts. 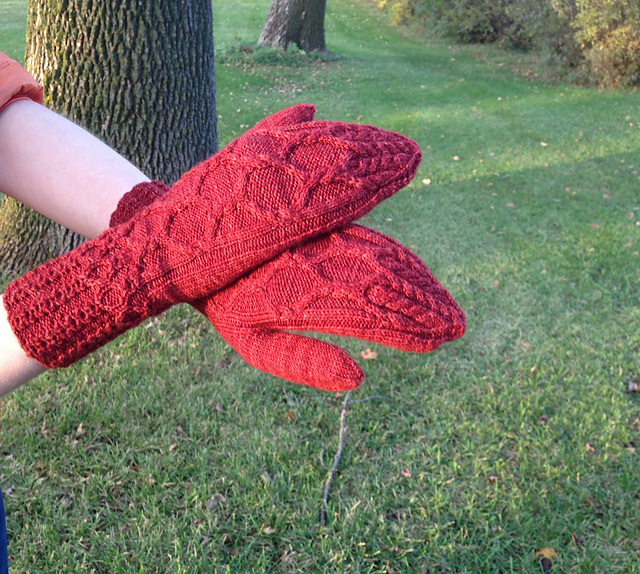 The pattern is so easy and intuitive, I’m using it to teach a new knitter. Plus it’s really cute and I can change out the ties for a different effect, if need be. Of course, that means knitting more i-cord.